Many people will not know that Natalie Imbruglia’s 1997 smash hit debut single Torn was actually a remake of a 1995 single from alternative rock band from LA, Ednaswap. Well much like Torn, Will Young’s new single Come On is a remake of the original 2009 single Come On by Brit electropop group Kish Mauve. This film clip channels the movie Best In Show where we see Will as a dog trainer in charge of a talented Collie. An involving and emotional clip, Snaps to Will for creating something different in the sea of choreographed, green screened clips out there. 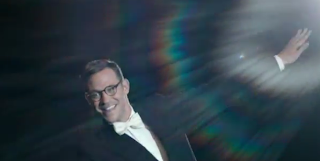 A great single from an equally great clip, check out Will Young’s new single Come On below!